I just love apricots, fresh or dried, they are probably my favourite fruit, with raspberries coming a close second. 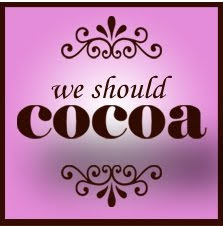 So I was very pleased indeed when I saw that 'We should Cocoa' had chosen Apricots as the ingredient to combine with some form of chocolate in July. I was looking for something that was quite light so chose this recipe from Rosemary Conley's Low Fat Cookbook. In the book it is a 'Low Fat chocolate and black cherry pudding' but I thought it would work just as well with apricots. Gently poach the apricots with the orange juice and 1 tsp of caster sugar until they are soft. Place them in the base of an ovenproof dish. Whisk the egg whites until stiff. Add the yolks and whisk in. Add the caster sugar and whisk until all the sugar has dissolved. Sift the self-raising flour with the cocoa powder. Using a figure of eight action, fold half the four into the ff an sugar misxture. When the flour is almost folded in, add the remaining flour in the same way until the mixture is smooth. Spoon the mixture over the top of the apricots. Bake in the oven for approximately 40 minutes or until golden brown. When cooked leave to cool for a few minutes. Serve with low fat fromage frais, greek yogurt or vanilla ice-cream. 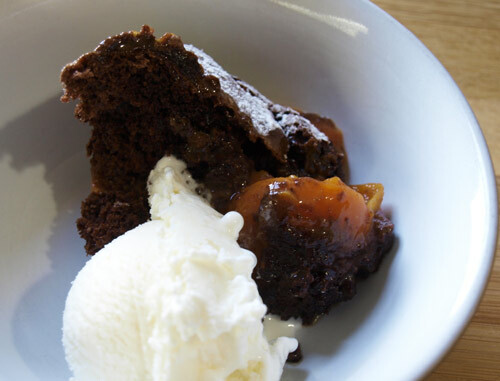 The combination worked really well, the sponge is very light, moist and delicious and dig down to find the soft, sweet, golden apricots. I love the 'pudding' element to this, it's simply heavenly and just what me and The viking love!!!... wasn't it a great challenge this month... I adore apricots too. Thanks for sharing this - I really do need lower fat recipes at the moment. This version is especially good since I love apricots but I'm not so sure about black cherries. Ooh! You've persuaded me on this one - I might have to make it tonight!! Wonderful pudding - and lovely colours, Janice. Looks so light, too. Only problem is this is the kind of pud I could eat the whole lot! Fabulous. Looks scrummy. I bet it was light without all that butter to weigh it down ;-) Thanks for taking part and coming up with a lovely pudding to boot. That looks very delicious...and without butter or oil! Love it. Thanks very much for sharing. 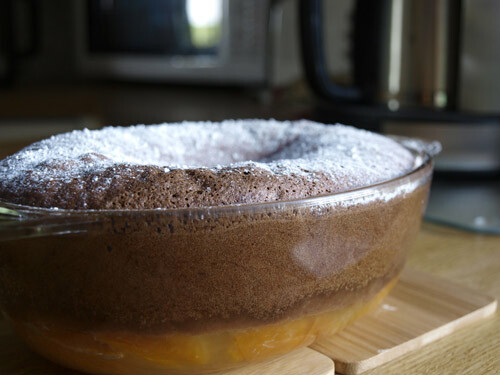 A great low fat pudding and it looks lovely too with the apricots. Thanks so much for taking part in this months challenge.